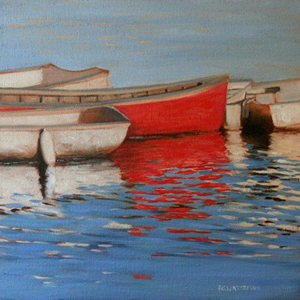 Maryland artist, Paula Waterman has been drawing and painting all her life. In l981 she began exhibiting her artwork and now is known nationally for her unique scratchboard drawings and her oil paintings. 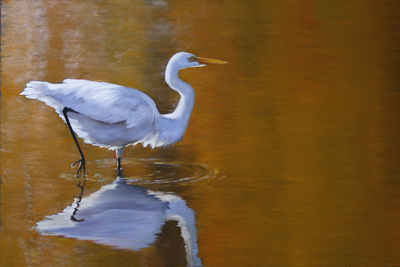 Her approach ranges from portraits of animals to wildlife painted in natural settings. Paula has a particular interest in wading birds, dogs, horses and the large African game animals. A common thread in all her work is the critical importance of the light scource and light color; she sayss that light is the actual subject in all her work. 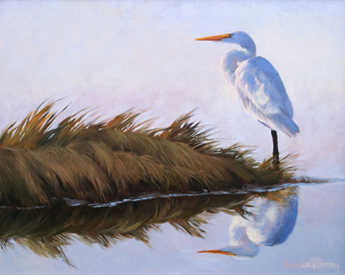 Paula Waterman is a member of the American Society of Marine Artists and the Society of Animal Artists. 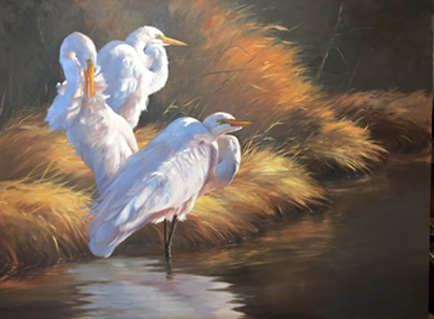 In 1992 she was juried into a National Wildlife Art Exhibit, juried by noted artist Robert Bateman. 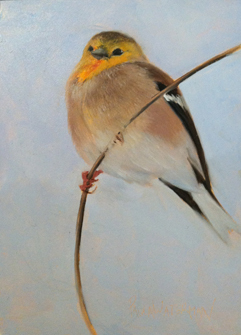 She exhibits regularly in the International Birds in Art juried exhibition at the Leigh Yawkey Woodson Art Museum. 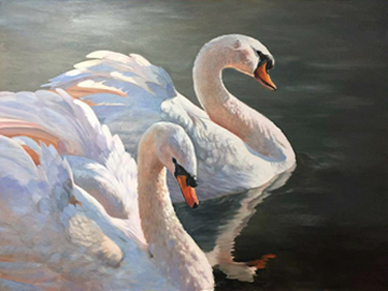 She has also exhibited at the Nicolaysen Art Museum, the Blauvelt Museum and was selected for the top 100 artists in the 1993 Arts for the Parks exhibit. 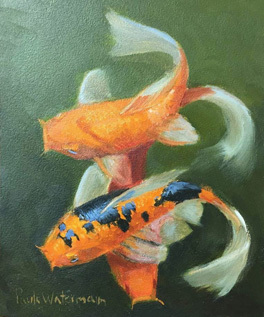 She has exhibited in the juried Mystic International Annual exhibit . Her scratchboard of a Great Horned Owl is included in the Atlas of North American Birds - Owls, published by Jeffery Whiting in 1997. 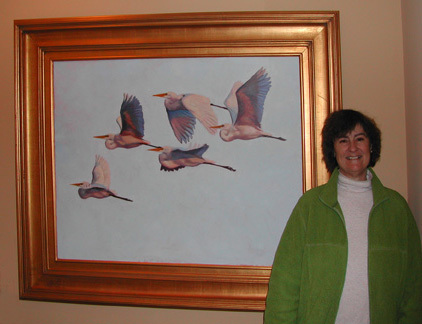 Wildlife Art magazine published her oil paintings and scratchboards in a feature article. 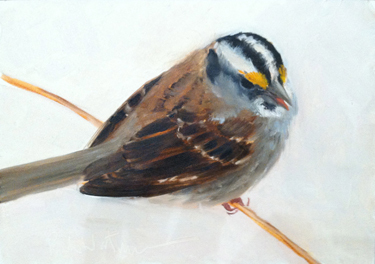 Paula does her own reference photography and prepares for her artwork with studies and sketches. In addition to numerous shows and exhibitions each year, Paula travels to destinations to gather needed reference material, most recently to Africa. Her work can be found in many private and corporate collections as well as the permanent collections in the Blauvelt Museum and the Leigh Yawkey Woodson Art Museum.